Could a collection of cacti qualify as a jungle? Maybe if you add some preserved moss! 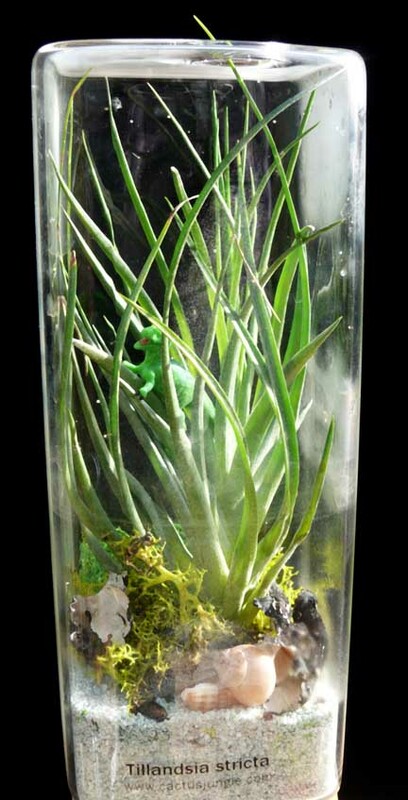 Either way the Berkeley-area shop Cactus Jungle has an interesting selection of tillandsia and other types of terraria on their website http://www.cactusjungle.com/terrariums.html. The addition of the preserved moss does allow an otherwise-arrid arrangement some of the lushness of a jungle.